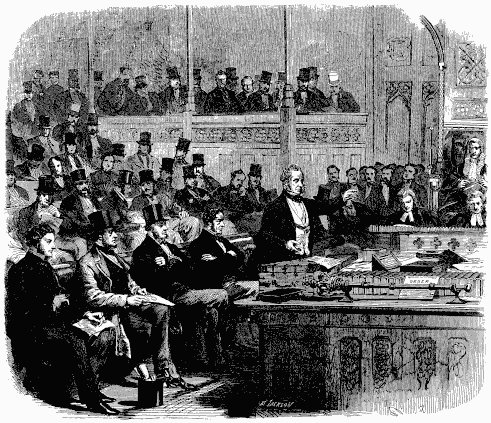 Henry John Temple, 3rd Viscount Palmerston, KG, GCB, PC (20 October 1784 – 18 October 1865) was a British statesman who served twice as Prime Minister of the United Kingdom in the mid-19th century. He began his parliamentary career as a Tory and ended it as a Liberal. He is best remembered for his leading of British foreign policy in a period of time when the United Kingdom was at its strongest. He served as both Foreign Secretary and Prime Minister. Some of his actions, now sometimes termed liberal interventionist, were not liked by a lot of people at the time. 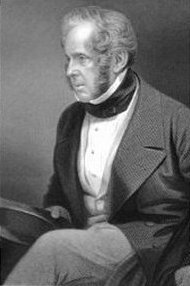 Lord Palmerston, c. 1855 by Francis Cruikshank. 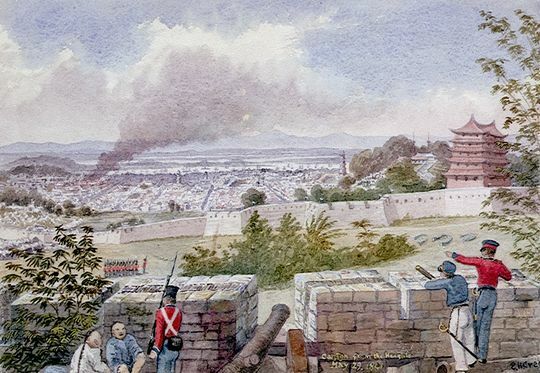 Palmerston agreed to transfer the authority of the British East India Company to the Crown. Statue of Lord Palmerston in Parliament Square, London, by Thomas Woolner. 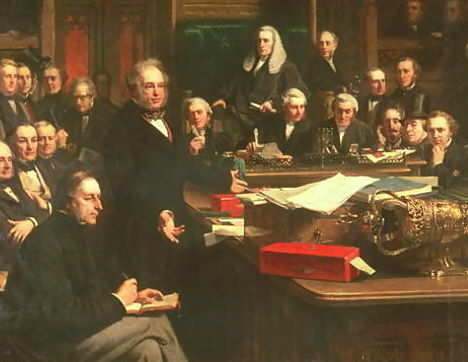 Lord Palmerston Addressing the House of Commons During the Debates on the Treaty of France in February 1860, as painted by John Phillip (1863). Carte de visite depicting Lord Palmerston, 1863. 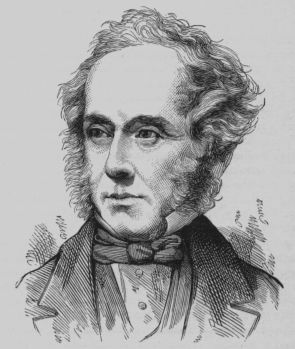 Henry Temple, 3rd Viscount Palmerston Facts for Kids. Kiddle Encyclopedia.